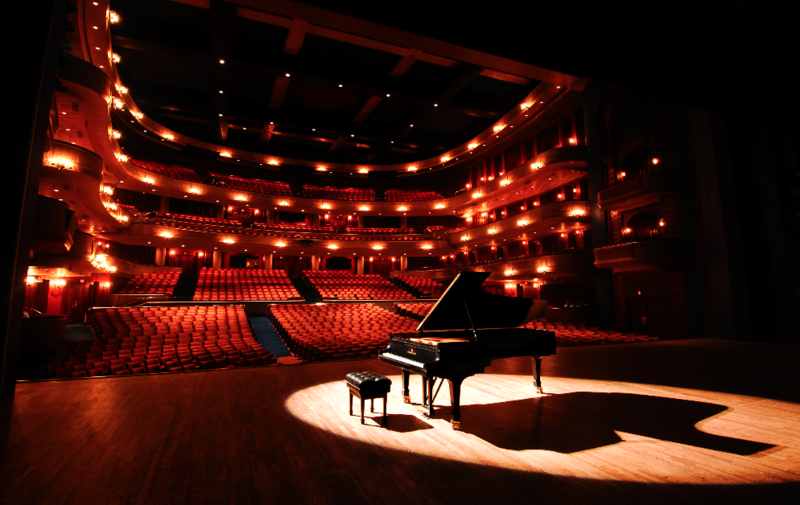 PROSPECTIVE YOUNG STEINWAY ARTIST CRITERIA – WHO CAN APPLY? The revered title of “Young Steinway Artist” offers to young pianists the opportunity to formally affiliate with Steinway & Sons at an early point in their musical careers. Young Steinway Artists are considered part of the Steinway Family, a worldwide community including legendary artists such as Vladimir Horowitz and Martha Argerich, as well as legends-in-the-making like Lang Lang, Billy Joel, and Diana Krall. Developed by Steinway & Sons to recognize and nurture exceptional young musicians, this priceless artistic alliance is built upon the mutual conviction that both artist and artisan should strive for the greatest level of achievement in performance and craftsmanship. The Young Steinway Artist designation remains free of monetary endorsements – further validating its credibility and charm. The designation of Young Steinway Artist may be accorded to a publicly concertising pianist, actively pursuing a career as a professional musician. Applicants are 16 to 35 years of age unless invited by Steinway & Sons to apply sooner. Applicants own an instrument from the Family of Steinway Designed Pianos (Steinway, Boston, Essex). Applicants genuinely prefer to play on Steinway pianos. Young Steinway Artists are expected to perform on Steinways whenever and wherever available. In the event that other piano brands are available, a Young Steinway Artist decides in favour of Steinway, provided the instrument is in good condition. Steinway & Sons kindly requests a Young Steinway Artist to inform them if a piano is not in acceptable condition, so that the situation can be improved. Applicants must not publicly endorse, promote, or have formal affiliations with any other piano brands at the time their application is submitted for consideration. Still, a Young Steinway Artist may play in concert series of other piano brands, given the conditions that the artist avoids to be identified as an official pianist of any other brand and that the artist defines him/herself as a Young Steinway Artist in CV, program notes, etc. Applicants submit a “testimonial”, describing in a few personal words what Steinway means to them. The artist does not issue comparable testimonials in favour of other piano-makers. Applicants also submit a digital photo in high resolution. If the application is favourably processed, Steinway & Sons may use testimonial and photo free of charge for general marketing purposes and display on official Steinway & Sons websites, until this permission is revoked by the artist. The Young Steinway Artist status is retired when an artist turns 36 years of age or gives up his/her career as a pianist. At any point a Young Steinway Artist may apply to become a Steinway Artist provided he/she meets the necessary application criteria. HOW DO I APPLY TO BECOME A YOUNG STEINWAY ARTIST? Applicants submit the completed application and testimonial along with a high-resolution digital photo, and any applicable digital press kits, recordings, and information they wish to include for consideration. Applicants understand that Steinway & Sons may request a referral from the applicant’s local authorised Steinway & Sons representative. Applicants understand all submitted materials are subject to review by Steinway & Sons and will not be returned. Steinway & Sons reserves the right to appoint, deny, or withdraw Young Steinway Artist status at their sole discretion. Next ArticleTHE LAST MAN WHO KNEW EVERYTHING? Steinway & Sons pianos are the choice of nine out of ten concert pianists as well as countless professionals and amateurs. Since 1853 the company’s pianos, each of which takes around a year to make, have set an uncompromising standard for sound, craftsmanship, design and investment. The company only has two factories world-wide, based in Hamburg and New York.